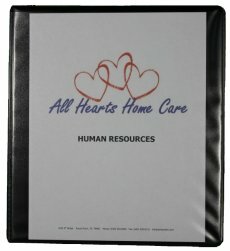 We have taken the headache out of searching and creating the necessary forms to successfully run a home health company. 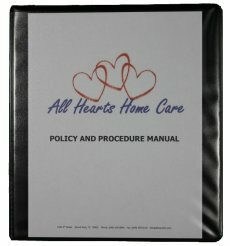 I want to thank you for the excellent service and the professional policy manual. You saved me and my staff hours of work! The Policy and Procedure Manual is the heart of all Personal Assistance Agencies as well as the first item State Surveyors want to review. Our survey proven P&P manual will allow you to take care of your clients, rather than spend your valuable time researching rules and regulations. Our documents are State Specific, customized with your company information, and cross walked to the accreditation body of your choice as well as to state regulations. They are provided on hard copy with USB Drive or USB Drive only Version. We have helped hundreds of agencies with their document needs from Hawaii to Alaska and Coast to Coast. We offer the best prices in the industry with the fastest delivery; our documents ship within 5 business days of your order. Give us a call and let us know about your needs. Updates are provided at no cost! 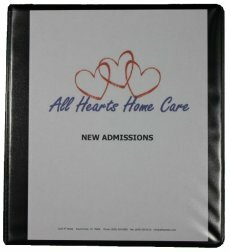 We will customize the documents to your company at no additional charge! You will have access to the member's area where you can interact with other members and download updates free of charge. 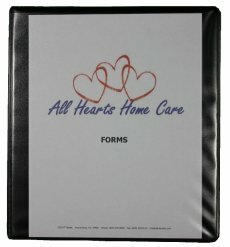 Home Health Forms logo is a registered trademark. All other logos are the property of their owners.